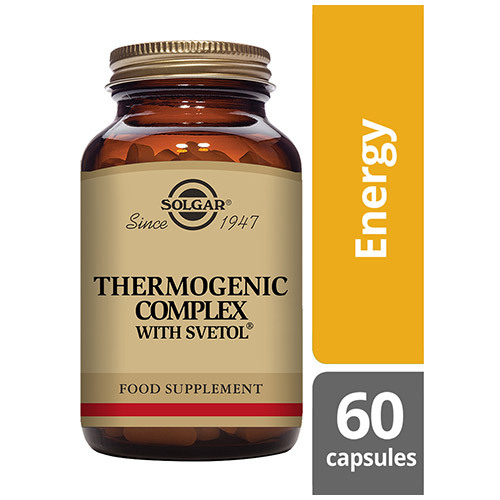 Solgar® Thermogenic Complex with Svetol is a specialised formula containing several nutrients and botanicals targeted on supporting the body’s metabolism. This blend contains ingredients such as choline, inositol, chromium and L-methionine which support the process of converting nutrients (carbohydrates, proteins and fats) into energy. The added botanicals (green coffee, green tea, cayenne and black pepper) provide a holistic approach to help support an optimal working metabolism. 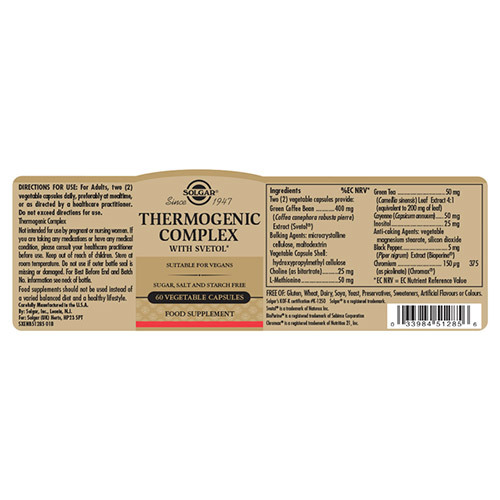 Solgar® Thermogenic Complex has a 2 a day dosage, to be taken as easy to absorb vegetable capsules, providing a rich blend of nutrients and botanicals, supporting a healthy metabolism. 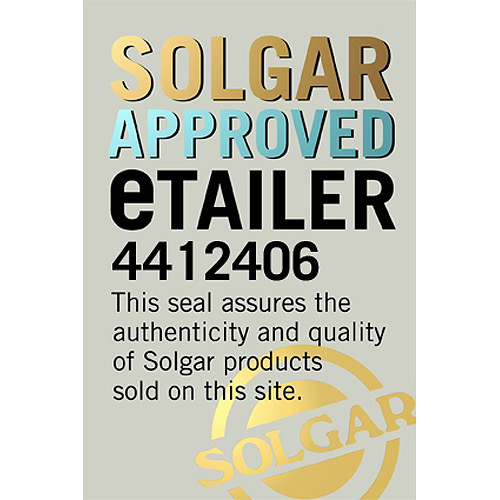 Also contains: Bulking Agent: Microcrystalline Cellulose, Vegetable Capsule Shell: Hydroxyproplmethyl Cellulose, Anti-caking Agents: Vegetable Magnesium Stearate, Silicon Dioxide. For adults take two vegicap daily, prefably at mealtime or as directed by a healthcare practitioner. Do not exceed directions for use. Excessive consumption may produce a laxative effect. 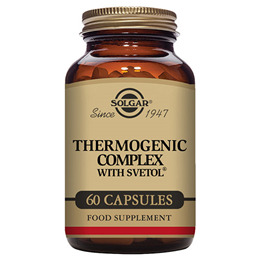 Below are reviews of Solgar Thermogenic Complex with Svetol - 60 Vegicaps by bodykind customers. If you have tried this product we'd love to hear what you think so please leave a review. Solgar® Thermogenic Complex with Svetol is a specialised formula containing several nutrients and botanicals targeted on supporting the body’s metabolism.